The Sports Professions and Recreation Careers Academy (SPARC) is a California Partnership Academy within Monterey High School. The SPARC Academy is funded by a State grant and is designed for students with an interest in pursuing a career in sports, sports medicine or recreation related fields. The mission of the academy is to provide students with a college preparatory education that is both challenging and relevant to their area of interest. We attempt to reach out to at risk-students who might not otherwise have access to higher education directly out of high school and require accountability for student success. We also have alliances with and receive in kind funds from business and community members for the purpose of providing students with a foundation from which they can achieve their future academic and professional goals. As prescribed by the CPA State grant, students enter the SPARC pathway as sophomores and continue through their senior year. They are enrolled in three years of College Preparatory curriculum. 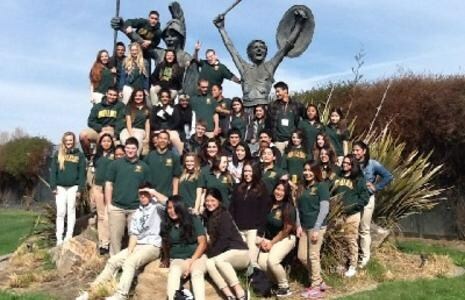 Students are required to fulfill the UC/CSU college admission requirements, complete a sixty-hour internship, and carry out a minimum of twenty hours of community service per year. 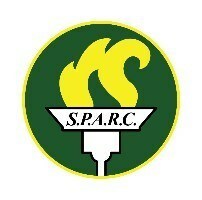 At least fifty percent of our current SPARC students are identified as at-risk. SPARC staff closely monitors the progress of each student. These special circumstances set us apart from other academic groups at Monterey High School. Successes within our academy include all of our graduating seniors pursuing post-secondary education. We assist our students in applying for community, local and nationwide scholarships, as well as, federal and state financial aid. Due to interventions and monitoring by our Academy staff, our students’ GPAs have improved, as has attendance, all while, continuing in courses which allow them to be eligible to apply to a four year college or university. Students are required to complete career technical courses at each grade level to encourage and prepare them for a career in the medical field. In addition to course work, students are required to complete 20 hours of community service often served at our local hospital or community athletic events. Students are also required to complete a 60 hour internship in the health/recreation career fielda in the profession they are most interested in. To prepare students for their internship search, we invite professionals from the community to conduct a mock interview process with each of our students. Throughout the year, students visit various college campuses and technical schools. At each college campus, students are also introduced to programs in the recreational and sports medicine related fields. Additionally, students have opportunities to visit and participate in hands on activities at local vocational schools related to the health industry. They are also given several opportunities to hear from guest speakers on the vast career opportunities within the medical and recreation career fields. The SPARC application deadline for the 2019-20 school year is February 15, 2019.